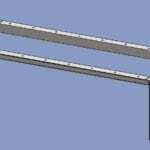 What Is A Dedicated 5-Axis Tube Laser? We get this question often—what exactly is a 5-Axis Tube Laser? How is that different from a rotary attachment on a tradition flat sheet laser? Lets start here…laser technology has been around for many years and really started to grab ahold in the mid-nineties. 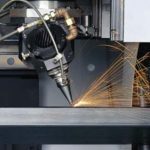 The cutting technology was, by any measure, transformative in the metal industry and now it would seem nearly impossible to operate a modern shop without laser cutting technology. Adaptions have been made over the years and laser cutting technology has improved. One of those adaptions, among many, has been to add tube cutting capacity on flat sheet lasers. This can be useful but it requires large setup times as the machines have to be broken down to change from flat sheet cutting to tube cutting. Setup becomes a huge cost when the machines are forced to changeover from flat sheet to tube and visa versa. 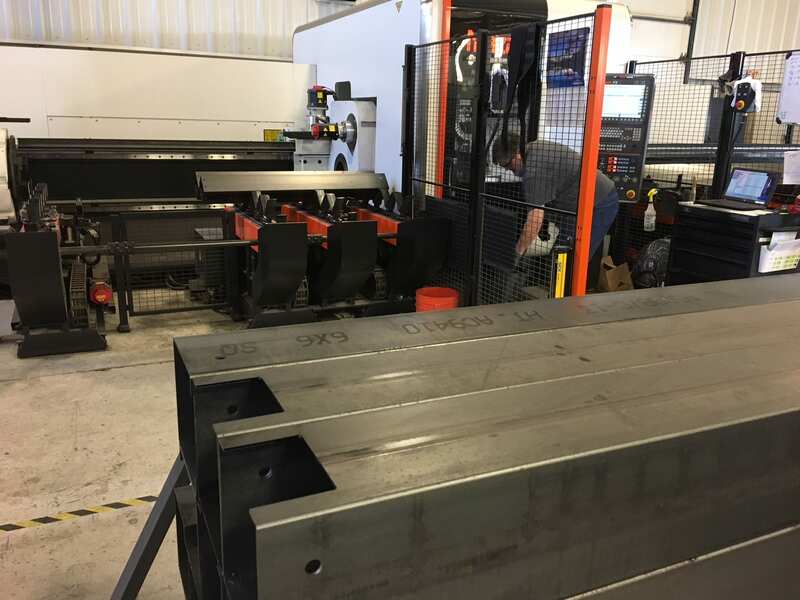 In addition, lead times are often very long for potential customers as most shops want to, naturally, wait until they accumulate several tube cutting jobs before breaking down the flat machine to do all the tube work together. Setup costs and long lead times are a significant setback for transforming a sheet machine to tube machine but there is more. Flat sheet lasers can only cut on two or three axis which works sufficiently in some cases, particularly with square tube, but is very limiting when cutting round tube or when one wants to cut a bevel (say for pre-welding conditions). 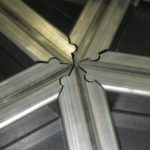 Bevel cutting requires 5-Axis cutting where the head or nozzle of the laser can actually swivel and/or tilt at an angle not perpendicular to the surface of the metal. Finally, saw-cutting pieces to length is also a limiting, non-value-added process required for nearly all sheet lasers which usually have beds that are 10-12 feet long. That means that each piece of tube not only has to be saw cut but also loaded one at a time into the machine for cutting. Can flat sheet lasers cut tube, yes…but examining the benefits of a dedicated tube laser over a flat sheet laser is worth considering. First, as originally mentioned, there are relatively NO setup times involved. Dedicated tube lasers are ready to go without changeover or machine modification. As jobs progress through the tube laser machine, programmers and machine operators are loading new programs into the machine while the current job in the system is still cutting. What that means is significantly reduced lead times and setup costs. Second, dedicated tube lasers are designed to cut long lengths of tube. In AMF’s case, the machine will handle 25’ lengths of tubing. This, again, significantly reduces setup times. No hand loading, on-and-off, small lengths of tube into a flat laser modified for tube cutting. Dedicated tube lasers grab an entire 24’ length of tube and feed the piece through the system until all the pieces are cut from the entire length (handled only once). Third, 5-Axis capacity, as mentioned above, allows for copping and bevel cutting (cutting that is not perpendicular or normal to the surface). This is A BIG DEAL down stream when the parts move from cutting to fitup and welding. Many studies show that welding efficiencies are increased by as much as 50% with tube parts that are cut precisely with ready-weld bevels and perfect intersections. 5-Axis cutting also allows AMF to cut items like Angle, Channel and Custom Extrusion—none of that is possible on a flat sheet laser. Dedicated, 5-Axis tube laser cutting is on the frontier of fabrication. Most Industrial Engineers have only begun to understand how this technology can change design and engineering. Parts that were impossible before or very expensive in a traditional machining center (mill or lathe), can now be fabricated at very affordable prices. Take the time to consider how a Dedicated Tube Laser could really transform your work—better prices, better lead times, better downstream fabrication, better design. Check out or online video of tube lasering on our website and You Tube channel. How Does Laser Cutting Work? © All Metals Fabrication - All rights reserved. Get our latest updates and view our featured projects.